At the time of establishment in Taisho period, Sakurada Sake Brewery named their sake ‘Taikei’. Takojima town is a fishing village. When fishermen received big catch, they used to appreciate it saying ‘Taikei (great joy)’. Although it no longer exists, there used to be a fishing boat named ‘Taikei Maru’ belonging to the Sakurada family. 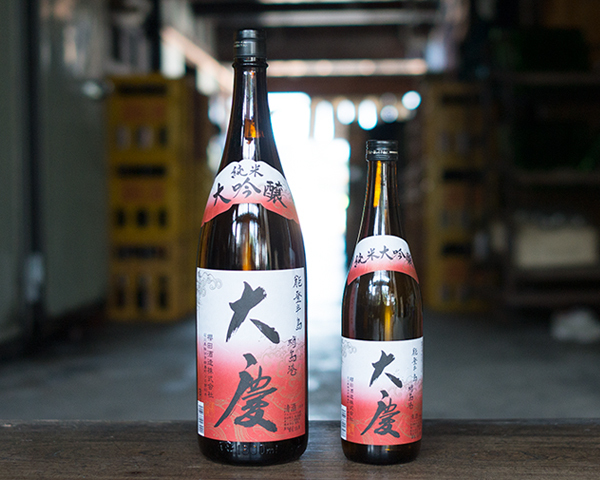 At the first year of Heisei period, the name ‘Taikei’ was revived as a sake brand and we started selling this Junmai-shu. The reasons why it is called ‘special’ Junmai-shu is because we use sake rice called Yamada Nishiki and apply the rice polishing ratio of 55%. Every year, Toji creates this sake imagining the taste he himself would like to drink. We tried various rice polishing ratios from 50% to 60%. After many trials, we found out that the ratio of 55% gives the best balance in sake quality and taste. If the rice was polished too much, deliciousness of rice disappeared. If the rice was polish too little, sake quality dropped. This is a ‘special’ sake for the brewer too. As it was mentioned above, the main theme of this sake is to be drunk in celebration of a big catch; however, we also image it to be tasteful sake with delicious flavor of rice. Label design of this sake represents the image of the ocean. 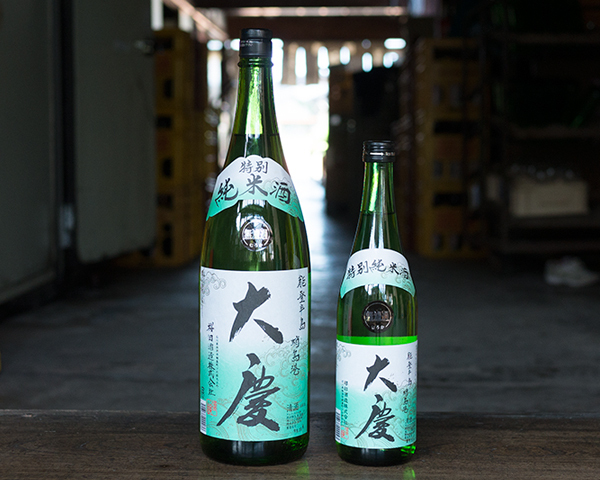 Sakurada Sake Brewery has been producing mainly Honjozo sake for everyday drinking for the local people; however, we started selling Junmai-shu in the Taikei brand from the first year of Heisei period. Furthermore, we started selling Junmai Daiginjo in September 2016. This ‘Junmai Daiginjo Taikei’ is the newest sake in the Sakurada Sake Brewery. From time to time, local people and visitors from distant areas had been asking if we had Daiginjo and we always felt bad for not having it. To respond to such request, we started making Daiginjo. This sake went on sale in September and became sold out in no time. It was because the timing coincided with the autumn festival season in the local area, during which many people purchased this Daiginjo, and also because it became popular through word of mouth, for example through social networking systems. We hope to continue producing this sake to be enjoyed during festivals and other happy events. Copyright © 珠洲 櫻田酒造 All Rights Reserved.